Waterloo, Ontario, Canada — Costly water losses in municipal water systems could be significantly reduced using sensors and new artificial intelligence (AI) technology. Developed by researchers at the University of Waterloo in collaboration with industry partners, the technology has the potential to detect even small leaks in pipes. It combines sophisticated signal processing techniques and AI software to identify telltale signs of leaks carried via sound in water pipes. 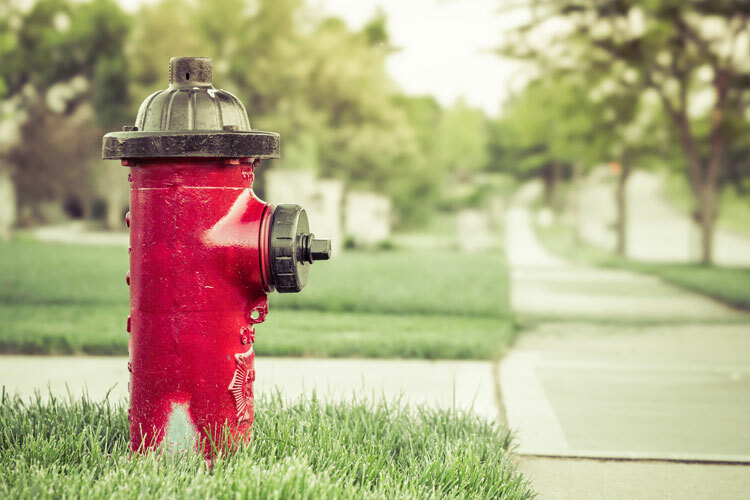 The acoustic signatures are recorded by hydrophone sensors that can be easily and inexpensively installed in existing fire hydrants without excavation or taking them out of service. Roya Cody works in her lab. Municipal water systems in Canada lose an average of over 13 percent of their clean water between treatment and delivery due to leaks, bursts and other issues. Countries with older infrastructure have even higher loss rates. Major problems such as burst pipes are revealed by pressure changes, volume fluctuations or water simply bubbling to the surface, but small leaks often go undetected for years. In addition to the economic costs of wasting treated water, chronic leaks can create health hazards, do damage to the foundations of structures and deteriorate over time. “By catching small leaks early, we can prevent costly, destructive bursts later on,” said Cody. Researchers are now doing field tests with the hydrant sensors after reliably detecting leaks as small as 17 litres a minute in the lab. They are also working on ways to pinpoint the location of leaks, which would allow municipalities to identify, prioritize and carry out repairs. “Right now they react to situations by sending workers out when there is flooding or to inspect a particular pipe if it’s due to be checked because of its age,” Cody said. The sensor technology works by pre-processing acoustic data using advanced signal processing techniques to highlight components associated with leaks. That makes it possible for machine learning algorithms to identify leaks by distinguishing their signs from the many other sources of noise in a water distribution system. Cody collaborates with a team of researchers in the Structural Dynamics Identification and Control Laboratory, including post-doctoral fellow Jinane Harmouche and Sriram Narasimhan, a civil and environmental engineering professor and Canada Research Chair in Smart Infrastructure at Waterloo. A paper on their research, Leak detection in water distribution pipes using singular spectrum analysis, was recently published in the Urban Water Journal.